MANILA, Philippines — The Department of the Interior and Local Government (DILG) will issue an order to have mayors who did not attend yesterday’s meeting on the rehabilitation of Manila Bay explain their absence, a source said yesterday. 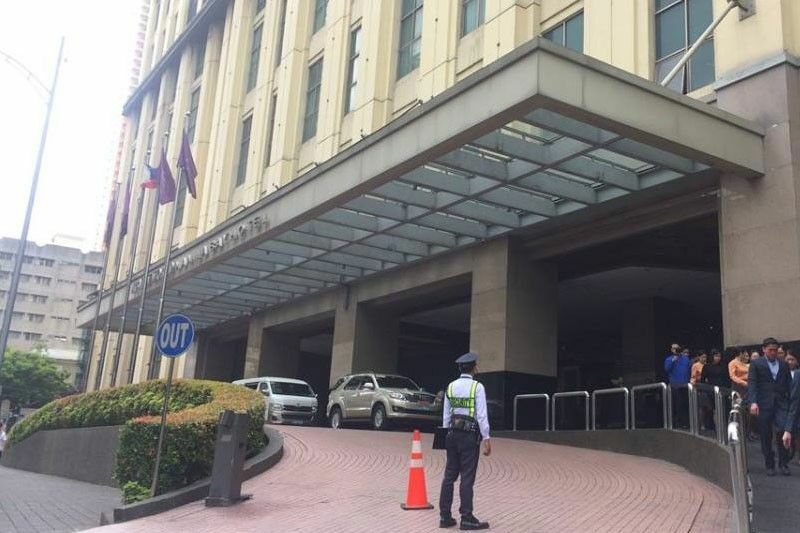 The official, who requested anonymity since he is not authorized to speak on the issue, said four Metro Manila mayors were not at the meeting, held behind closed doors at the New World Manila Bay Hotel in Manila. The DILG has yet to identify which of the mayors from nearby provinces were absent, the source added. DILG Secretary Eduardo Año asked the 178 mayors who were expected to attend the meeting to pledge their “full support and cooperation” to rehabilitate Manila Bay. “The secretary said that those who did not attend the meeting will be issued a show cause order. It was not, however, clear if the same order will be issued to the mayors who sent representatives to act on their behalf during the meeting,” the source said. The source said that the DILG’s main concern in convening the 178 mayors is to come up with a unified action on how to address the liquid and solid waste management problem that contributed to the deterioration of the bay. “Aside from seeking the support of the local government units, the DILG wants to identify the specific responsibilities of the local government units (LGUs) in the rehabilitation of Manila Bay and how to sustain its rehabilitation in the coming years,” the source said. Mayors of towns and cities within the Manila Bay watershed area in the National Capital Region, Central Luzon and Calabarzon (Cavite, Laguna, Batangas, Rizal and Quezon) attended the forum. Aside from the DILG, officials of the Department of Environment and Natural Resources (DENR), the lead agency tasked to clean up Manila Bay, also attended the forum. Año cited the writ of continuing mandamus issued by the Supreme Court (SC) on Dec. 18, 2008 ordering the DILG, DENR and 11 other agencies to rehabilitate Manila Bay. To ensure compliance with the SC order, the DILG directed LGUs to do their parts in helping the government rehabilitate the bay. Local officials who do not comply with the DILG directive may face an administrative charge of dereliction of duty before the Office of the Ombudsman, DILG spokesman Jonathan Malaya said. The rehabilitation program, also called the “Battle for Manila Bay,” was launched on Jan. 27. DENR Undersecretary Sherwin Rigor said the coliform level at an area of the bay that receives waste from three outfalls – between the United States embassy and the Manila Yacht Club along Roxas Boulevard – significantly dropped since Jan. 28. From an average of 330 million most probable number for every 100 milliliters of water, the DENR recorded the coliform content of the following outfalls: 7.9 million mpn from the Salas outfall at the Pedro Gil area, 35 million mpn from the Remedios outfall and 92 million mpn at the Estero de Abad outfall near the Manila Yacht Club, Rigor said yesterday. The Manila Bay inter-agency council aims to make this portion of Manila Bay fit for swimming and other forms of water recreation by reducing the coliform level to 100 mpn per 100 milliliters. Meanwhile, Año said the council can still recommend if a reclamation project in Manila Bay can be approved despite the Philippine Reclamation Authority’s transfer from the DENR to the Office of the President. Around 10 reclamation projects in the bay area would be reviewed, Año told reporters on the sidelines of the meeting. He did not identify the projects, but earlier reports said around 26,230 hectares of Manila Bay could undergo reclamaiton. Año said the council would check if the projects comply with the Solid Waste Management Act, the Clean Water Law and the Philippine Fisheries Code.